The Cabinet on Wednesday gave the administrative sanction for the second phase of the development of the Kochi Metro from Jawaharlal Nehru International Stadium to Infopark via Kakkanad. 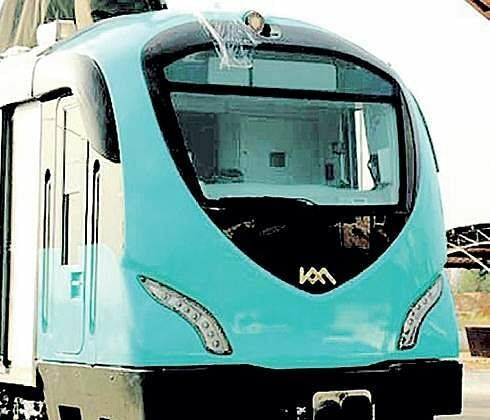 KOCHI: The Cabinet on Wednesday gave the administrative sanction for the second phase of the development of the Kochi Metro from Jawaharlal Nehru International Stadium to Infopark via Kakkanad. The revised budget for the expansion is estimated at Rs 2,557 crore. The extension will cover a total area of 11.2 km and is awaiting the Centre’s approval. The French development agency AFD, which is funding the first phase of the project, has already expressed its willingness to provide external borrowings for the second phase too. “The government has decided to give the administrative sanction to the proposed second phase extension of Kochi metro rail,” said Chief Minister Pinarayi Vijayan after the Cabinet meeting. The second phase will have 11 stations. These include the Palarivattom Junction, Palarivattom Signal, Chembumukku, Vazhakkala, Kunnumpuram, Kakkanad Junction, Kochi Special Economic Zone , Chittethukara, Rajagiri, InfoPark I and InfoPark II stations. It will be a multi-model way of transportation integrating rail, road and boat services between Vyttila and Kakkanad. The Rail India Technical and Economic Services (RITES) had completed the study for extending the line and the government had allotted Rs 189-crore preparatory works for the metro’s proposed extension to Infopark. The date of commissioning of the first phase of the Kochi Metro will be announced soon. It is learnt the state government will soon be apprised of a date from the Prime Minister’s Office to finalise the proceedings. Prime Minister Narendra Modi is expected to dedicate the first phase of the project from Aluva till Palarivattom. The service trials are progressing up to Palarivattom. On-the-job training was held for the shortlisted candidates of the Kudumbashree and the transgender community on Wednesday at the Muttom depot of Kochi Metro. They were also taken to the train and the stations and introduced to the various facilities and equipment at the stations. Later, the transgender community members met Kochi Metro Rail Ltd managing director Elias George at his office. The training will continue for the next five days.